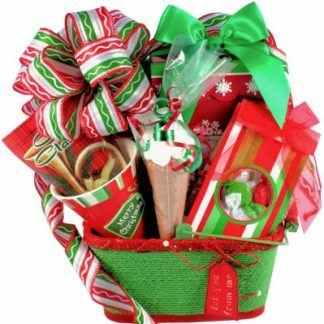 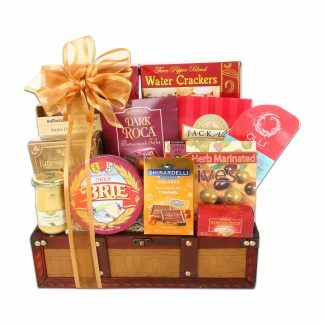 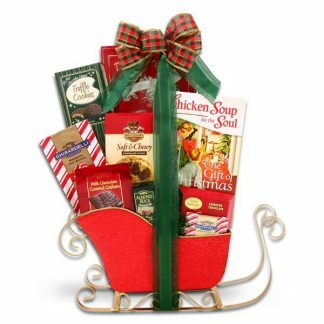 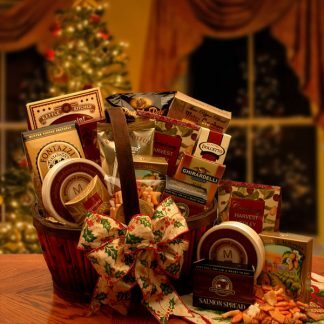 Our brightly painted tray basket with side handles offers a wonderful assortment of scrumptious gourmet treats! 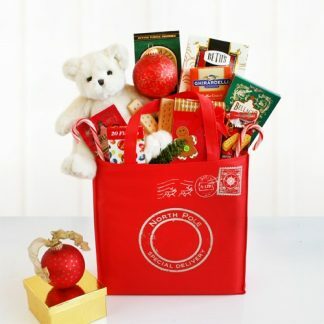 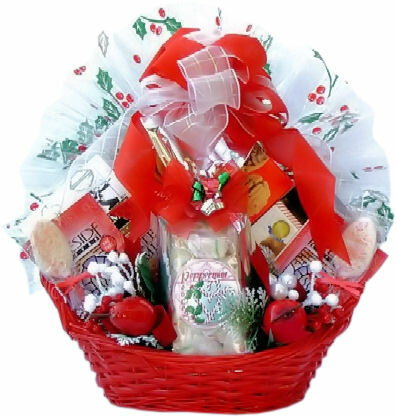 We’ve included a large and very festive bag filled with old-fashioned Peppermint Taffy, White Chocolate Amaretto filled Butter Wafer Cookies, Key Lime White Chocolate Cookies, Raspberry White Chocolate Cookies (so good! ), heavenly cream filled Chocolate Truffles, two packets filled with White Chocolate gourmet Mocha, two holiday packets of Candy Cane Hot Cocoa Mix and two Stir Spoons dipped in white chocolate and coated with red sugar crystals.